"She was taken off the walls of our home by the Nazis." 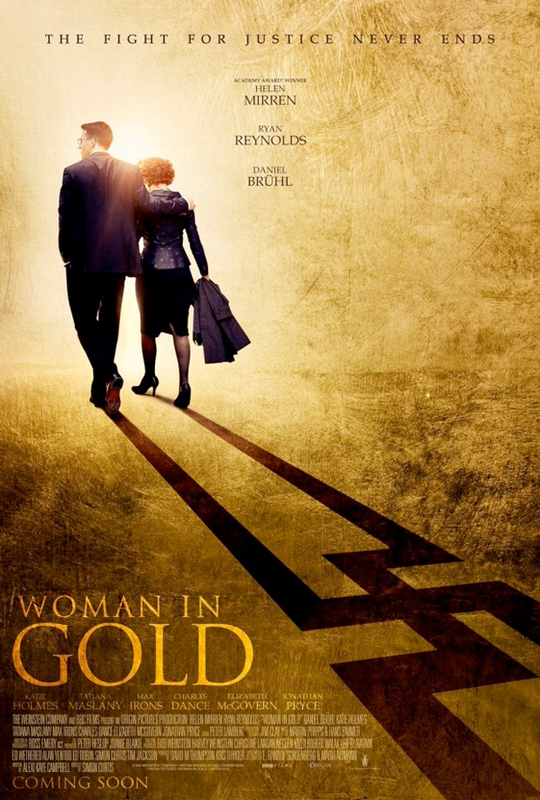 In what feels like The Monuments Men meets Philomena, the first trailer has arrived for Woman in Gold. The drama hails from My Week with Marilyn director Simon Curtis and follows the real-life journey of Maria Altmann (Helen Mirren), a woman who was forced out of her home during World War II and is now in pursuit of a painting of her aunt which was taken by the Nazis. Ryan Reynolds plays an inexperienced and somewhat fluster lawyer trying to help her out. This sounds like it should have been an Oscar contender, but maybe it's a little too touchy feely. Watch! Academy Award winner Helen Mirren stars in the incredible story of Maria Altmann (Helen Mirren), a Jewish refugee who is forced to flee Vienna during World War II. Decades later, determined to salvage some dignity from her past, Maria has taken on a mission to reclaim a painting the Nazis stole from her family: the famous Lady In Gold, a portrait of her beloved Aunt Adele. Partnering with an inexperienced but determined young lawyer (Ryan Reynolds), Maria embarks on an epic journey for justice 60 years in the making. Simon Curtis (My Week with Marilyn) directs Woman in Gold from a script by newcomer Alexi Kay Campbell and The Weinstein Company releases the film next spring April 3rd, 2015. Sound good? Seems like a wonderful NBC sitcom. So they want us to root for a character that wants a painting (everyone has been able to enjoy for years) all to her self? How noble. Austrian nazis killed part of the family, threw them out of their ancestral home, stole their properties. And you side with the nazis. Noble, eh? I'm siding with art being avalible for the public. Private peoples' personal art, including family portraits, need to be eminent domain-ed immediately and hung in museums? Or do you only side in favor of nazi looting? Be cool if they made one about an Egyptian looking to get some stolen relics from any museum in the world. I do love that painting though, Klimt rocked it. Strange that in Adele's will she said she wanted to the paintings donated to the museum on her husbands death, but the war kind of messed about with the timeline a bit.